Super Casino is much better version of the Common Casino. Here you have to use Super Casino Chips. Idle Heroes Strategy Game Guide. Super Casino is much better version of the Common Casino. Here you have to use Super Casino Chips. 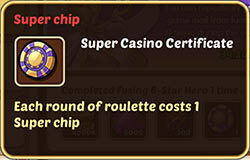 Super Casino Chips is hard to get, most often appear as awards in Events. 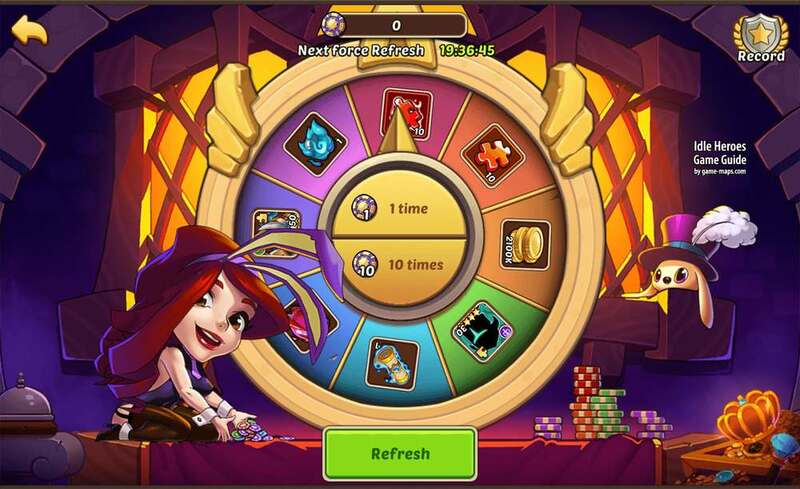 You do not have to collect Super Casino Chips and wait for the Event, you can spin this roulette whenever you want, as long as you have chips. Prizes are precious. Heroic Summon Scrolls, Prophet Orbs, Fragments of Artifacts, 4 Stars and 5 Stars Heroes and more. Refresh works just like the Common Casino. Here you do not get Lucky Coins for Lucky Store.